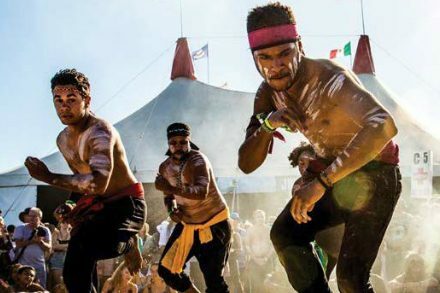 Creative Koori aims to support and develop NSW Aboriginal arts and culture. Creative Koori works to meet the directions of the NSW Aboriginal Arts and Cultural Strategy (Stage Two: Connection, Culture, Pathways) through a focus on market development, careers, government and industry partnerships. Applicants should read the strategy before applying. Aboriginal Artist Support (Quick Response) – OPEN until 1 April 2019. Creative Koori Arts and Cultural Projects – applications CLOSED. Creative Koori Employment – applications CLOSED. Aboriginal Regional Arts Fund – applications CLOSED. For the purpose of this funding category, an Aboriginal or Torres Strait Islander is a person of Aboriginal or Torres Strait Islander descent, who identifies as an Aboriginal or Torres Strait Islander and is accepted as such by the community in which they live or have lived. The information on this page is a guide only. Each grant or opportunity in this funding category has special eligibility requirements. We recommend reading the following information before completing your application. Download the Creative Koori Grants Guidelines (short version) or the full version of Arts and Cultural Development Program Guidelines. be a professional artist or arts/cultural worker. be a partnership, group or unincorporated entity with an ABN (or able to work with a third party to administer the grant on your behalf). be a legally constituted not-for-profit incorporated body, non-trading (non-distributing) co-operative/trust, or local government authority. All applicants must follow the NSW Aboriginal Arts and Culture Protocols for consulting with Aboriginal organisations and communities.